One of the major things I’m going to take away from my time in the Willamette Valley is that there are so many variables in wine that can influence style. Even though pinot noir is the king of grapes in Oregon, there is such a wide variety of styles due to site, clone, vintage and winemaking. In one day today I saw such a range of wines that it was hard to believe they all came from the same grape variety. At short notice I had managed to get an appointment to taste the wines at Beaux Freres, and boy was I glad I did. The name Robert Parker Jnr. is probably the most important in the USA, and no one influences trends in wine more than he has. So when Michael Etzel found a site in the Ribbon Ridge sub-sub-region in 1986 on which to grow grapes, he partnered with his brother-in-law Robert Parker to find a third backer to purchase and establish the property. It wasn’t difficult to do this, and in 1991 after working several vintages at Willamette pioneer Ponzi Vineyards, he decided not to sell his fruit but make the wines himself. The rest was history. The focus at Beaux Freres is clearly on pinot noir, as they only produce wine from this grape. Today they only release three wines, a blend of the two vineyards they grow on, and the two single vineyard wines. The tasting consisted of comparing two vintages of two of the wines, and finish with the other single vineyard wine which needs more time before being offered full-time. When wines are made in such a hands-off style and the fruit is allowed to express the naunces of the site, you can see a big difference between vintages. The 2007 wines looked exquisite, with tight acid and tannin holding the fruit together well. These wines will live. 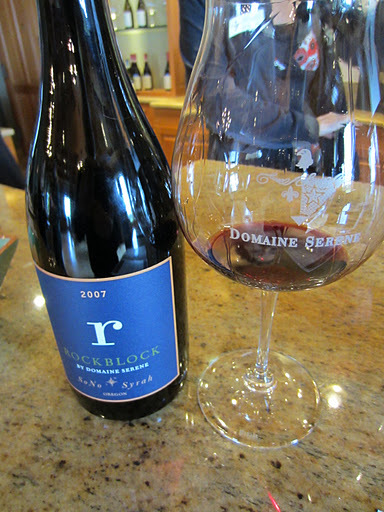 The 2009 wines are very young but will soften and then hold together for less time. 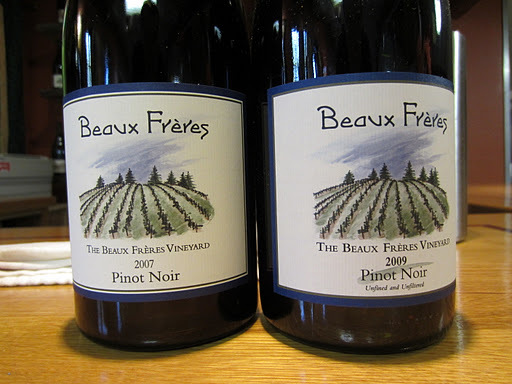 The Beaux Freres wines were the best I tried in the Willamette Valley. 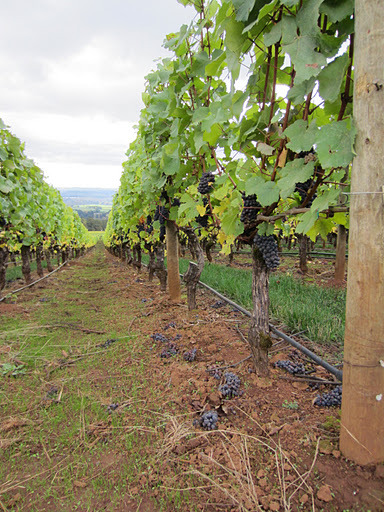 In 1991 the wine world stood up and took notice of the Willamette Valley and Oregon for pinot noir. The catalyst for this was the inaugural release of the Domaine Drouhin 1988 Pinot Noir. The fact that one of the most important houses in Burgundy had invested in a new world winery, and identified the quality and potential of wines from this region was big news. A flurry of new operations and investment swept over the valley, inflating the number of producers and the overall quality of the wines. The Drouhin winery is one of the most important in the Willamette Valley, as it was the first entirely gravity-fed in the region. They are one of the larger producers, but there is no compromise on the quality. It is exciting to see some great chardonnay here, it’s a shame there isn’t more, but from the sounds of it they are planting more suitable clones for the climate. 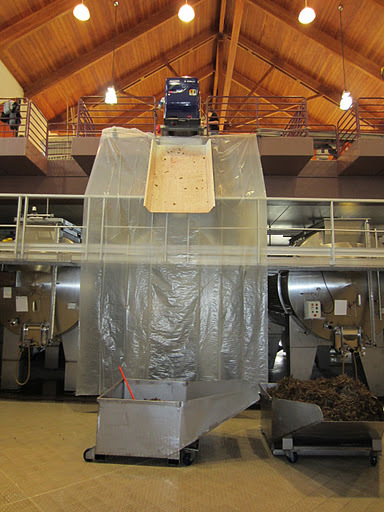 As I walked through the winery pinot fruit was being processed and you can see the stems falling down a chute into a bin below. This past week in New York City was the Wine Spectator 2011 Wine Experience, a three-day festival where the best wines in the world are on show. A number of the wineries I have visited were exhibiting their wines, including Kistler, Ridge and Shafer. I had contacted Michelle from Domaine Serene about visiting the winery, but unfortunately she would be over for the event as well and wouldn’t be at the winery to meet me. I thought I’d drop in and taste some wines anyway, and it was interesting to see the difference in expression between two wineries so close to each other. The Domaine Serene pinot noirs are full, dense, dark and tannic, and a little warm. They are wines that require ageing, compared to the wines at Domaine Drouhin which are soft and approachable in youth. The syrah uses fruit sourced from the Oregon side of the Walla Walla region, and is nice and earthy and dark with good concentration and spice. I was really pleased to have met the winemaker at Stoller Vineyards, Melissa Burr. The vintage had begun and they were naturally very busy in the winery processing fruit, so I was glad she could spare some time. At age 31 she is one of the youngest chief winemakers I have met, so it was really exciting to taste her wines and hear her background. She seemed very interested in my background and future plans, so I hope I can stay in contact with her as I think she will be a very important winemaker wherever she goes. 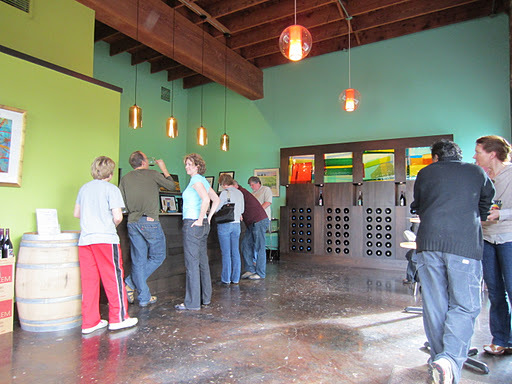 Argyle is one of the oldest wineries in the Willamette Valley, and their focus is on sparkling wines. The cool climate is ideal for growing fruit for sparkling base, and it was nice to see them using pinot meunier in the classic Champagne mould. The most fascinating wine was probably the sparkling pinot noir wine, which was nothing like the classic Australian sparkling shiraz, but delicious nonetheless. 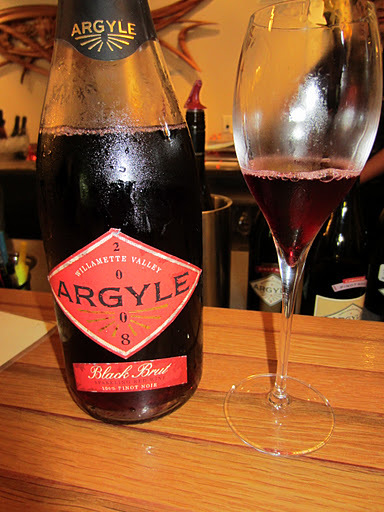 Argyle only make vintage bubbles, which is rare in both the old and new world. Portland is a very relaxed city, and the business district is very easy to get around. I spent the following just wandering around as is my wont. Most of the famous food carts were closed for the weekend, but I really enjoyed the soul food style BBQ pulled pork sandwich from one that was open. The botanic gardens are lovely, and nicely located on a hill above the rest of the city. I wish I were spending more time here, as it is my kind of town. On to Washington tomorrow, onwards and upwards! Click here to see photos from my third day in the Willamette Valley.